The First Bike to "Take the Outdoors Inside"? 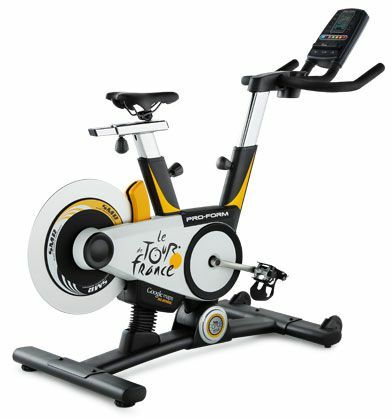 Proform Le Tour de France Generation 2 indoor cycle. When I first read about the ProForm Tour De France Generation 2 indoor cycle, as a Spinning instructor and avid cyclist, I was stoked! This was the first bike that actually seemed as if it could incorporate the technology needed to take the feel of being the road and bring it indoors. With the improvements from the first version of this bike, the Generation 1, including handlebar-mounted shifters and an improved power meter, I thought it was time to take a serious look at the ProForm Tour De France Bike Generation 2 Indoor Cycle. Makers of the Proform Le Tour de France bike claim that it provides riders with the experience of riding outdoors. The bike offers the real feel of every hill, variable wind resistance on the flats, and 24 digital gear controls to personalize every workout, and with Google maps iFit technology built in. With the new handlebar shifters, Proform helps simulate the resistance change you would feel on your bike. ProForm placed them on the handlebars and just as a road bike the left shifter adjusts resistance in the front sprockets while the right shifter adjusts the resistance on the back sprockets. The bike also has a -20% to +20% decline/incline capability that corresponds with the terrain on the computerized workout you are using. This simulates all types of terrain, from grinding up steep hills to zipping fast down them to racing across extended flats. With all these features, I felt this was going to be the coolest thing since I got my first tricycle! Although all this technology incorporated into the Proform Le Tour de France indoor cycle comes with a pretty hefty price, around $1500. My last bike was a LeMond RevMaster, which I loved and it was right around $1000.00. This is what you should typically expect to pay for a good quality indoor cycling bike. One thing you should also look for is the descriptor that it's good for light commercial use. That way you know it’s solid. If you get lots of awesome performance - above the more mid-range bikes- to warrant the higher price tag, that's okay. However, with the ProForm Generation 2, what I learned tells me I'm glad that I tried the bike before I before I bought it. Ultimately it fails to deliver as promising in bringing that "real bike feel." What I found in the test is that when the bike went into the first decline it felt a bit like being one of those mechanical bulls where you have to hold on for dear life. OK, that might be a bit of an exaggeration, although when I’m heading down a descent on a road bike I don’t normally feel like I’m going to be pitched off the bike either. The most frustrating aspect of the bike, however, was in the iFit integration, which brings the mapping software into the bike's workout program. 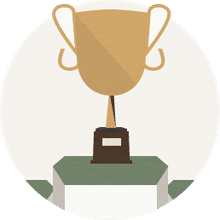 What I found is that it still has a lot of bugs that need to be worked out as I experienced a number of problems with the software, a common complaint echoed by other users. Then when I got the ride itself, in the middle it crashed and I had to reset the course. As you can imagine, when you are trying to perform a sustained workout, that sort of problem popping up is rather frustrating. Pedals: Designed to keep your feet in place, these pedals are built with toe cages to increase stability. You can choose to ride using the caged pedals or switch them out to use your own clipless pedals. The mounting is conveniently built into the cranks to that you can easily take them off and put your own pedals on. Included seat has three-way seat adjustment: up and down, front to back and tilt. ProForm has so far come out with a new model each year with improvements. While conceivably there'll be a Generation 3 at some point, it's not been announced yet and the Gen 2 is the here and now. And though Generation 2 does have some improvements, they need to still address the software issues and the declining stability problem. Until these problems are addressed, I can’t recommend this bike at the current price. And that's a shame since I was really intrigued by this concept. But after the negatives that came out through the testing experience, it reminded me that more complex "improvement" doesn’t always mean better. In this case, sticking with the basics would have been the right choice.